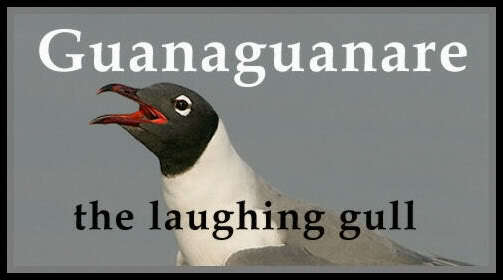 Guanaguanare: the laughing gull: El Comandante! Que en Paz Descanse. El Comandante! Que en Paz Descanse. Me voy a los cerros, alto, a llorar a solas, lejos, a ver si se apuna el dolor, subo, subo. La quena muy triste toco, y me habla llorando de vos, a ver si se apuna el dolor, subo, subo, subo. Hugo Chávez Frías passed away from the pain and struggle of this world on March 5, only to become a permanent part of a constellation of revolutionary heroes. This morning, on March 8, Chávez will be laid to rest in a manner that will leave him on permanent display for millions of his adoring followers in Venezuela, the oppressed and marginalized majority whose cause he so valiantly championed through 14 years of government and at least 17 elections and referenda. He will be preserved physically, and politically, having emerged not just as Venezuela’s most significant leader since Simón Bolívar, but as the recognizable face of a global anti-imperialist movement. Chávez has now become a firm part of the Latin American political canon. In death, he is being literally monumentalized, an institution in his own right. While many of us do feel his passing as an immense and deep loss, and 14 years was simply not enough, there is much to celebrate, and much to build on and continue. Apart from the seemingly infinite video and film recordings, we will never again hear his booming voice or his laughter, hear him sing, see him pound his fists into the air, watch that mischievous look in his eye that accompanied his smile–those closest to him, and those who followed him closely, will feel this sort of absence especially and little can make up for it. On the other hand, one should not descend into tragedy and remain stuck in mourning. Hugo Chávez is now more than just a man, or a memory of a man, he is a movement. Without a doubt, Hugo Chávez has become the new Ché Guevara–expect to see him everywhere, for the rest of your own days. Over the past few days, and relying primarily and purposely on Venezuelan media and secondly on non-mainstream media from elsewhere,* I have been tracing (here mostly, here too) the outpouring of international support that has accompanied the millions coming out yet in the Venezuelan streets yet again for Chávez. The latest news is that 53 international delegations will be participating in the funeral for Chávez, 32 of which are led by heads of government or state. Leaders and representatives of Bolivia, Brazil, Cuba, Colombia, Ecuador, Guyana, Uruguay, Equatorial Guinea, Argentina, Honduras, and Peru, have visited the Military Academy where Chávez has been temporarily placed. 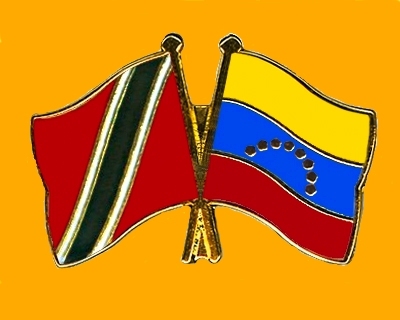 Also visiting Chávez’s casket in the chapel have been the Prime Ministers of Antigua and Barbuda, Belize, Dominica, Saint Lucia, St. Vincent and the Grenadines, St. Kitts, Trinidad and Tobago, and Curaçao. Due to arrive this morning for the funeral will be the following presidents: Chile, Sebastián Piñera; Costa Rica, Laura Chinchilla; Dominican Republic, Danilo Medina; El Salvador, Mauricio Funes; Guatemala, Otto Pérez Molina; Mexico, Enrique Peña Nieto; Panama, Ricardo Martinelli; Suriname, Desiré Delano; Belarus, Aleksandr Lukashenko; Islamic Republic of Iran, Mahmoud Ahmadinejad, and the Prince of Asturias on behalf of the King of Spain. Chinese media reported somewhat different numbers: “A total of 33 heads of state and 55 high-level international delegations from 54 countries and regions“–a figure that seems to grow by the minute, and which has been confirmed by Venezuelan media. A total of at least 15 governments around the world have declared official days of mourning in honour of Chávez, most declaring at least three days of mourning, among them: Argentina, Bolivia, Brazil, Chile, Cuba, Ecuador, Haiti, Iran, Nicaragua, the Dominican Republic, Uruguay, and as far away as Belarus, Nigeria (with seven days of official mourning), and the Sahrawi Arab Democratic Republic (see more here). Those interested in following the funeral, can do so starting from 11:30 am (EST), by seeing the live stream here. Otherwise, there is a thorough and comprehensive collection of videos on this YouTube channel. North American and western European mainstream media are worth ignoring almost entirely, unless one’s purpose is to do yet another catalogue of the abrasive and abusive brainwashing by amateur propagandists, something that passes itself off as “journalism” and which holds media consumers in utter contempt. Our media are no longer produced by adults, nor are their products intended for adults. The predictable narrative is that of the megalomaniac corporate media serving the 1% which has great reason to fear that the real message of Chávez’s life and accomplishments might escape their control. And it has escaped their control. Western media are not just quite dispensable, they invite dismissal altogether. Those who spend their time with such media will encounter the usual clumsy and irresponsible characterizations of Chávez as a “dictator” and “demagogue” or that Venezuelan society is “divided” (which society isn’t? ), as if it were somehow divided into two equal parts. When what we have leading us are bland cardboard cutouts who play powerlessness (when it comes to spending on education, healthcare, social security, and employment creation), because they are mere stand-ins for the powerful corporate elites, surely someone with character, personality, passion and purpose must be a demagogue. Fortunately, less reactionary opinions have been flowing in, presented below in no particular order, and with only a few selected. Cristina Fernández: “I only want to remember him as he was alive. Because he is alive. Mahmoud Abbas: “This is a great loss for us. The Palestinian people will remain faithful to Chávez whose memory will remain engraved in our consciousness in recognition of his courageous support for our right to an independent Palestinian state with Jerusalem as its capital. Hugo Chávez remains undefeated, as expressed by Derrick O’Keefe, the president of the Canadian Peace Alliance. 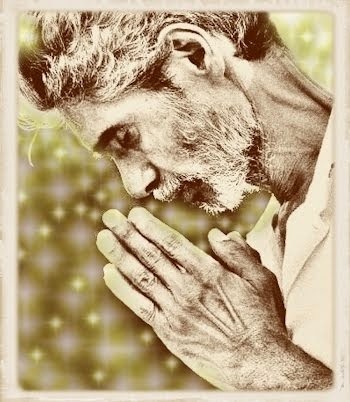 Imperialism could not defeat him. The U.S. failed in its efforts to overthrow him by way of its proxies. Chávez won election after election after referendum. Venezuela became the most democratic state in the modern history of the Americas. Unlike any of us in the North, Venezuelans were given the opportunity to participate in rewriting their own Constitution. Chávez could draw crowds that, in both absolute numbers, and especially in proportional terms, Obama could only dream of ever attracting. Chávez drew such crowds regularly at home, and often abroad too. To make a more objective assessment of the real progress achieved by the Bolivarian Revolution in Venezuela during the last 13 years it is essential to review some of the key available data on the social determinants of health and poverty: education, inequality, jobs and income, health care, food security and social support and services. With regard to these social determinants of health indicators, Venezuela is now the country in the region with the lowest inequality level (measured by the Gini Coefficient) having reduced inequality by 54%, poverty by 44%. Poverty has been reduced from 70.8% (1996) to 21% (2010). And extreme poverty reduced from 40% (1996) to a very low level of 7.3% (2010). About 20 million people have benefited from anti-poverty programs, called “Misiones” (Up to now, 2.1 million elderly people have received old-age pensions – that is 66% of the population while only 387,000 received pensions before the current government). Education is a key determinant of both health and poverty and the Bolivarian government has placed a particular emphasis on education allotting it more than 6% of GDP. UNESCO has recognized that illiteracy [has] been eliminated furthermore, Venezuela is the 3rd county in the region whose population reads the most. There is tuition free education from daycare to university; 72% of children attend public daycares and 85% of school age children attend school. There are thousands of new or refurbished schools, including 10 new universities. The country places 2nd in Latin America and 5th in the world with the greatest proportions of university students. In fact, 1 out of every 3 Venezuelans are enrolled in some educational program. It is also a great achievement that Venezuela is now tied with Finland as the 5th country with the happiest population in the world. Before the Chavez government in 1998, 21% of the population was malnourished. Venezuela now has established a network of subsidized food distribution including grocery stores and supermarkets. While 90% of the food was imported in 1980, today this is less than 30%. Misión Agro-Venezuela has given out 454,238 credits to rural producers and 39,000 rural producers have received credit in 2012 alone. Five million Venezuelan receive free food, four million of them are children in schools and 6,000 food kitchens feed 900,000 people. The agrarian reform and policies to help agricultural producers have increased domestic food supply. The results of all these food security measures is that today malnourishment is only 5%, and child malnutrition which was 7.7% in 1990 today is at 2.9%. This is an impressive health achievement by any standards. *In 6 years 19,840 homeless have been attended through a special program; and there are practically no children living on the streets. *Venezuela now has the largest intensive care unit in the region. *A network of public drugstores sell subsidized medicines in 127 stores with savings of 34-40%. *51,000 people have been treated in Cuba for specialized eye treatment and the eye care program “Mision Milagro”; has restored sight to 1.5 million Venezuelans. An example that clearly has earned the right to be hated by our ruling right wing parties (in Canada, the U.S., Europe), and which has earned the contempt of the children of Venezuelan oligarchs who call all of this “misery,” who call Chávez “the worst president ever” (even when compared to those that massacred thousands in the streets). This is the madness of the oppressors, that they can turn the world upside down, call thin fat, short tall, war peace, and actually demand that we believe them. They are finished. The anti-Bolivarian opposition in Venezuela can look forward to being buried and soundly defeated like never before in the elections that will be scheduled to take place in the next 30 days. Advance congratulations to President Nicolás Maduro. Long Live Hugo Chávez, Chávez Lives Forever.